We just had a pawsome time over at Deziz World and Dezi and Raena had some very nice things to say about our book. Here’s a look at what we were up to. You should hop on over and join in the fun. 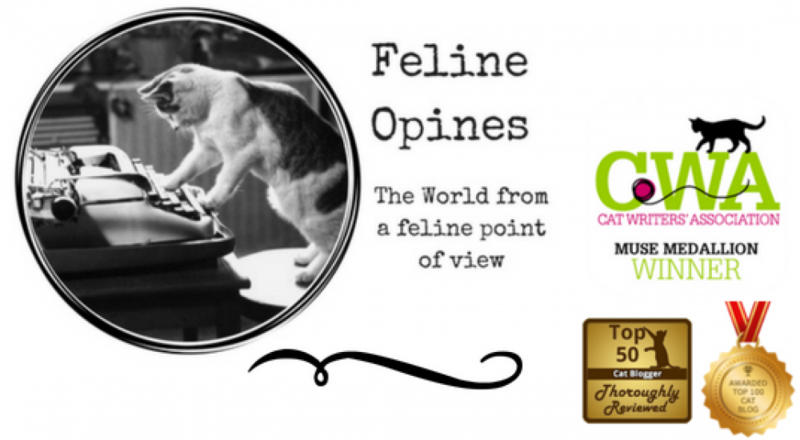 This entry was posted in cat behavior, Cat blogs, Cat writers, cats, Pet blogging, Siamese cats and tagged cat lovers devotional, Dezi and Raena, Deziz world, Felines Opine on God, service cats by Feline Opines. Bookmark the permalink. So cool that y’all had a visit! I’ve always admired that cat tree. Congrats that y’all had the privilege of climbing it! We are campaigning for one of our own! If I can find the ‘right dead tree’ I hope to make one, but I’m not in a rush because I’m not sure where to put it…. A couple years ago, Ms. Purrseidon literally turned her 6 foot tall cat tree into two 3′ tall ones…. That sounds like a purrfect project for our purrsonal assistant! Sendsing The Female Human over there now. That sure was a fun, fun time with those sweeties! How fun. Play dates are most fun. I saw their post, glad you had fun. I’m off to check out their post now!